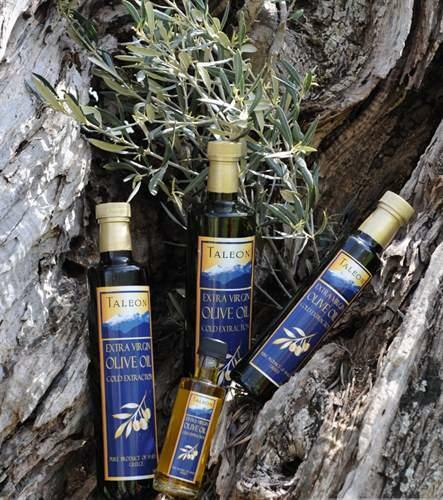 TALEON OLIVE OIL, Oliiviõli, olive oil wholesaler, extra virgin olive oil, EUROPAGES'sis. The word "Taleon" means light that is reflected from the peak of mount Taygetos. Our love and occupation with olive trees and the olive oil production created the idea of Taleon and gave us the incentive to make our dream come and turn our hobby into our occupation. 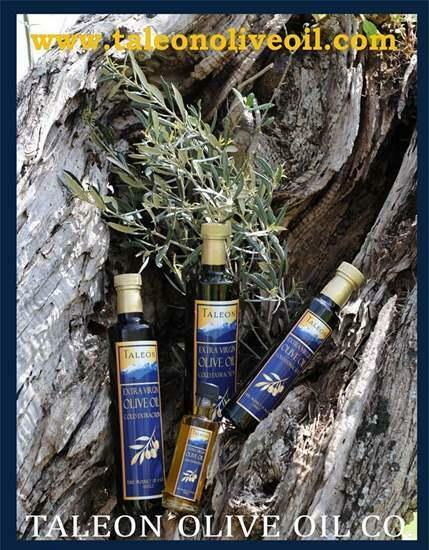 Our main aim is to provide an olive oil of supreme quality, Taleon, while respecting the wishes of our customer. The olive oil Taleon, is produced by local farmers in the northern regions of the prefecture of Laconia and is bottled with the most modern techniques. Both the olive oils are produced are bottled exclusively in Greece (in the area of Sparti). 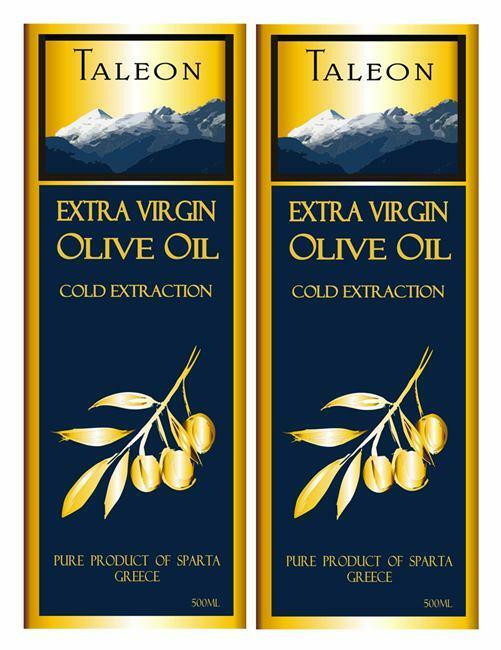 Taleon extra virgin olive oil is tested with the most modern techniques from specialized laboratories and our extra virgin organic olive oil is approved by DIO "The Certification & Inspection Organization of Organic Products" in Greece. Supreme quality olive oil, cold extracted with low acidity and a unique taste. Ask for our quote and taste a unique olive oil to compliment your everyday cooking.